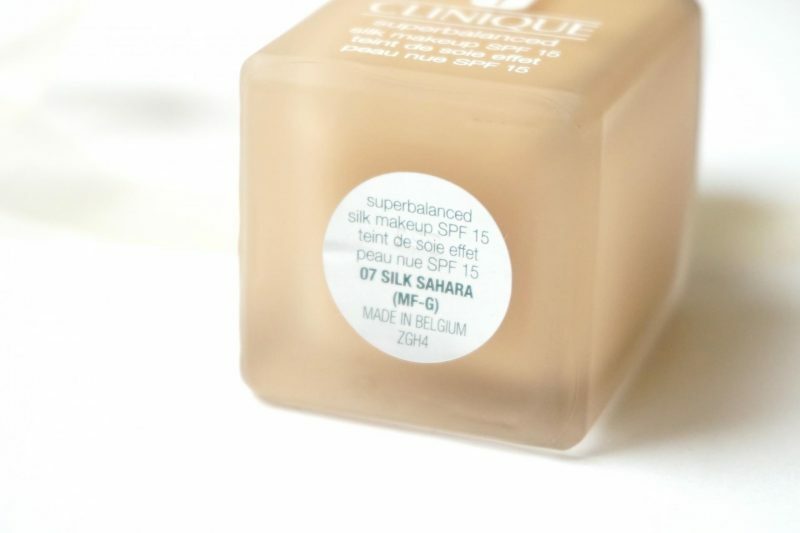 Today I will talk about the Clinique Superbalanced Silk Makeup SPF15 in the shade Silk Sahara. 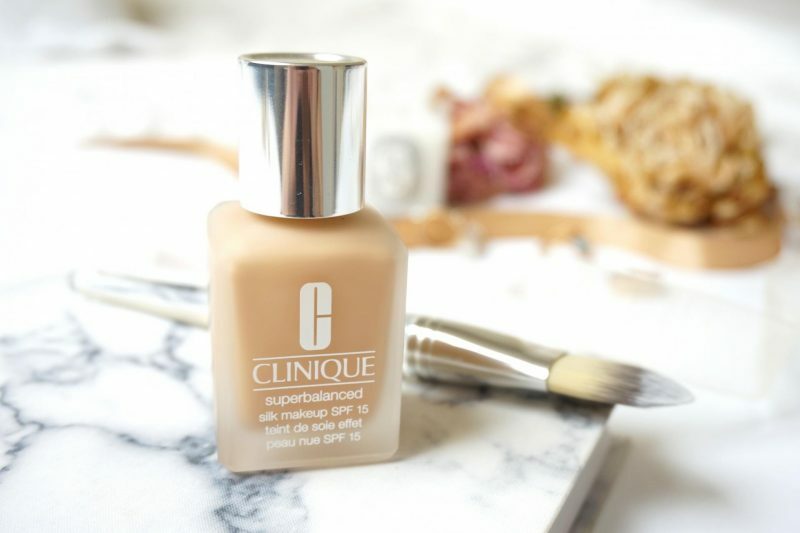 It’s getting hot in here, so it is time for a new foundation during the hot summer days! 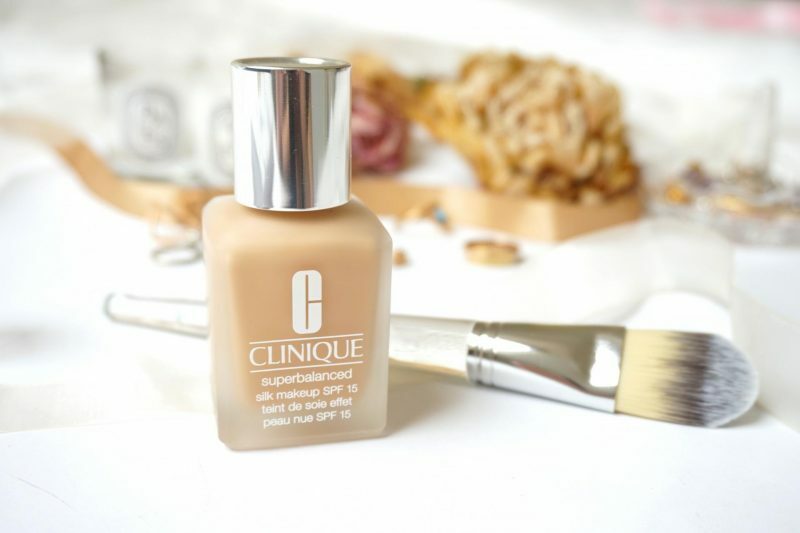 It’s been a while since I used an Clinique foundation, I do remember the times I had a concealer from them. Clinique is a beautiful beauty brand with cosmetics and skincare items that will work for every skin. Every product is linked with a skintype, so you will exactly know if it works for you. 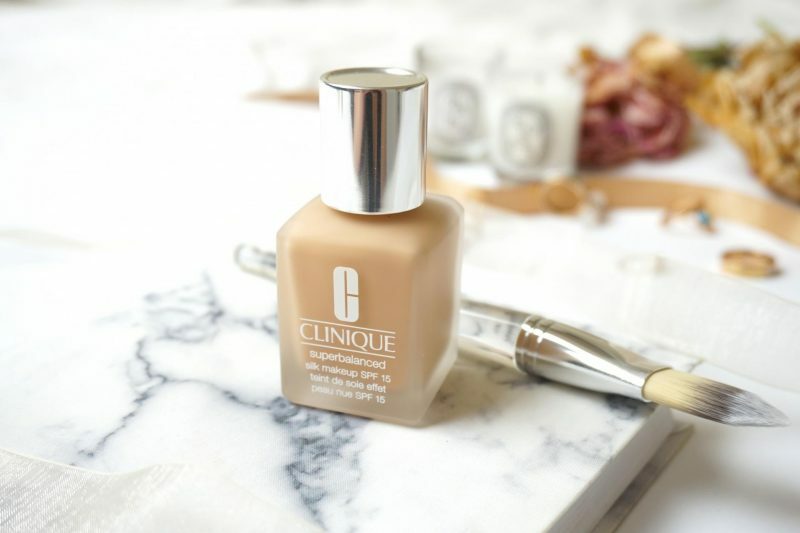 I received this foundation from Clinique and I was super excited to try this one out, especially because it should work for super oily skin people like me during the summer. That sounds like a challenge to me! Let’s get started! Start with a small amount in the center of the face. 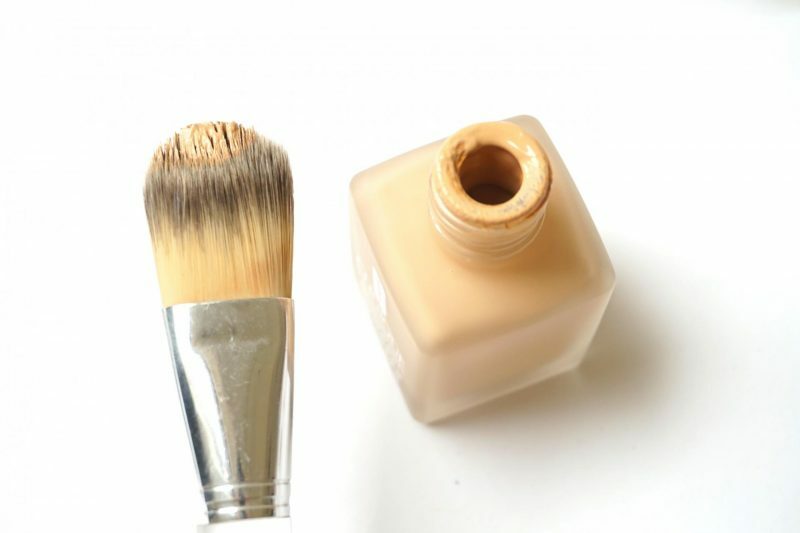 Blend outwards with Foundation Brush or fingertips. 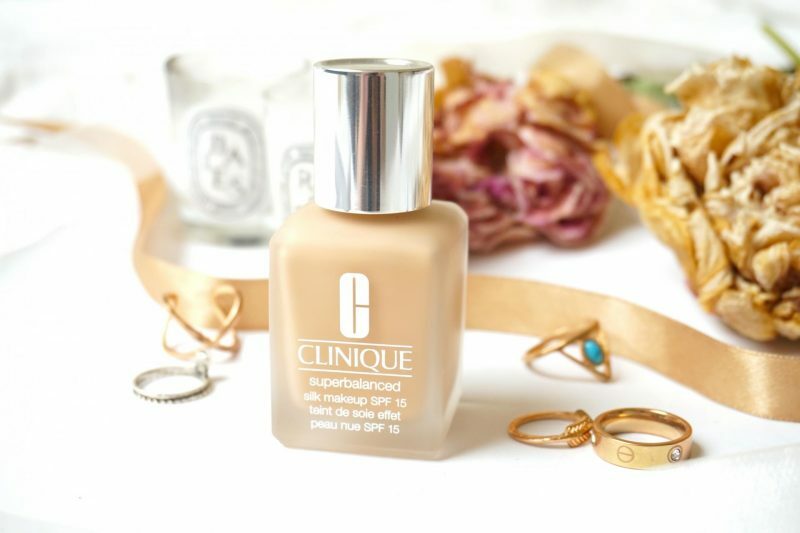 The Superbalanced Silk Makeup with SPF15 is stored in a beautiful glass bottle with a matte finish. I think it is a great way to design this bottle because the matte glass will make you think about the matte finish of the foundation. The bottle is secured with a silver cap, no pump! Call me lazy but I’m not a big fan of bottles without a pump because I don’t want to over pour foundation on the back of my hand. But I should stop complaining and talk about the real important thing. I also received the flat foundation brush from Clinique with the foundation. Funny because I already owned exactly the same one but I purchased it 8 years ago when I bought my first Chanel foundation (Mat Lumiere, doesn’t work for me at all .. ). Nothing has changed with the brush, it works just the same at it works great with the Superbalanced Silk Makeup Foundation! I got the shade 07 Silk Sahara which has a yellow undertone, perfect when you have a NC25/30/35 skintone. I picked a shade a bit darker than I usually am but I thought: summer is coming and I will definitely become tan. So I did. The last few times when I tried it out it had the perfect color match while at the beginning I had the feeling like I was a tanned Barbie doll. The color will oxidize after an hour, so keep in mind that it will get its true color at that moment. The texture of the foundation is quite fluid, something you would probably love when you are doing your makeup on a hot summer morning. Well, to me it had its down and up sides. First of all, the fluid foundation makes it very easy to blend it out and have an even application especially with the flat foundation brush (it’s a keeper!). Strokes are very hard to spot because the texture of the foundation will fill up all the fine lines and the brush application makes your skin look super smooth. So the down side to me is that the texture will also create a quicker melt effect than normal foundations. After applying and setting it with powder I do my daily things like walking to the bus station, working and going back to home. While I was walking to the bus station at 06:30AM I already noticed that my makeup was starting to melt so fast! During lunch I always use a blotting paper to remove excess oily from my face, but all it could ‘blot’ was foundation instead of oil. I could see that at some spots of my face the foundation was moving, or worse: disappeared. Swatched on my pale looking face, but the foundation matches with the rest of my body (like my super tanned arms). Okay, to get the whole picture of this foundation I will tell you my experience. First I had some troubles with the bottle, in my mind I thought you would spill more product if they don’t have a pump. In reality it doesn’t really matter, you just have to pour the bottle slowly on the back of your hand or on a mix plateau. With the flat foundation brush I dipped a little bit into the small about that I got on my hand and started in the middle of my face. I use short strokes from my nose to the cheek and I blend it out. I repeat this while I think I have the right amount of coverage because this foundation is buildable. I can see that the redness has disappeared like snow but some acne spots are still visible. With some concealer is it easy to hide them but I’m very happy that my face looks even and healthy. I immediately set the foundation with a lightweight powder because it is summer and I don’t want to have a heavy layer on my face. Like always I finish the face with some bronzer and blush and start doing the rest of my face. I could see after 20 minutes that the color of the foundation started to oxidize, it turned a little bit darker. It really depends what your actual skintone is because I’ve read different experience from people who said that their foundation oxidize after applying it. I’m happy with the results but when I arrived at work I immediately regret it. 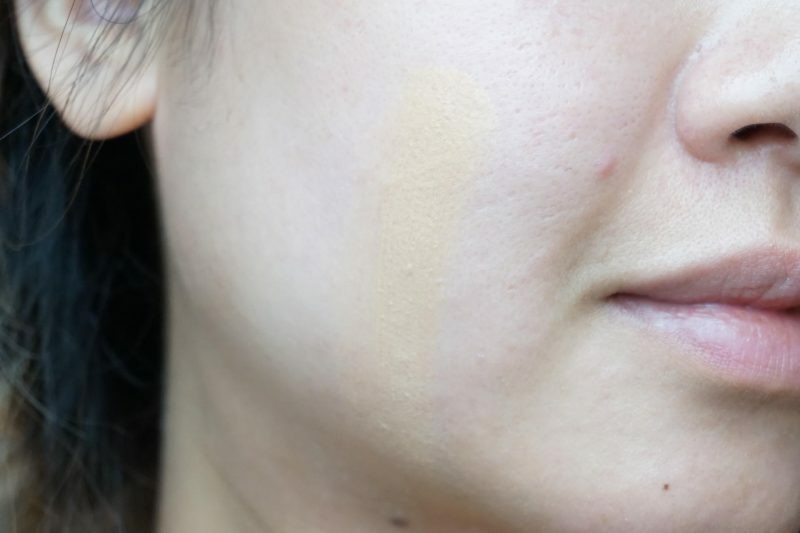 I could see that this foundation is not something I could wear on summer days, maybe more during spring or autumn because this foundation doesn’t survives my oily skin. The foundation was moving everywhere and I could see that the redness started to show up again. I felt terrible and even applying mineral powder didn’t work at that moment. BUT at the days I was at home and wasn’t that intensive, I loved how my skin looked like. During the day my skin looked glowy and healthy and I didn’t really had the feeling that the foundation was loosing it’s duration. I find it very weird, I think that it doesn’t work when you are sweating (yes, when I work I can be very stressed out especially when I’m travelling). 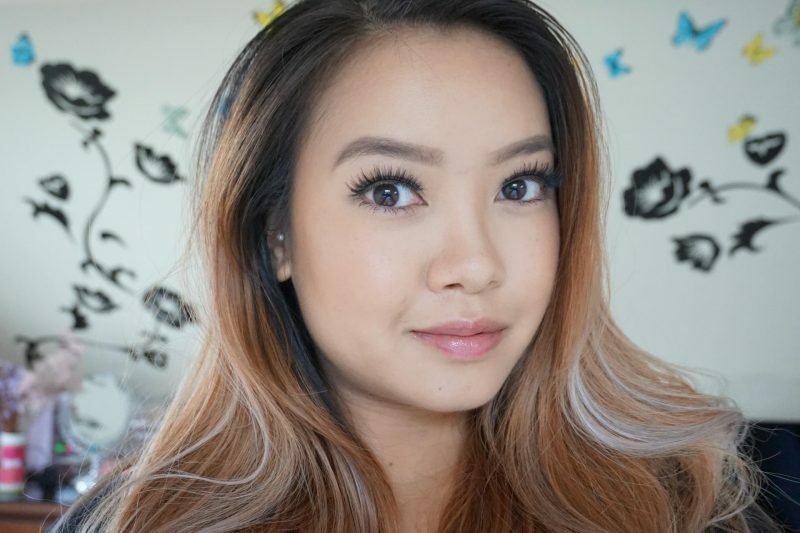 Full makeup: wearing the Superbalanced Silk Makeup all over my face and the Clinique Chubby Plump in 08 Va Va Va Violet. I’m sorry, this foundation doesn’t work for me when I’m really having a hectic day. It starts to move all over my face and the redness starts to show up. My college did told me that my face looked very healthy when using this foundation, but to me it is important that it stays all day (or at least survives the first 6 hours of the day!). I do can tell you that I loved it during my days off when I’m not all stressed out. When I do the grocery’s I love using this foundation because it is quick and easy to apply. My skin looks super glowy and healthy when using this for a period of time, but don’t expect it to last all day. Also, keep in mind that my skin is super oily. I think that is also the main reason why it didn’t work for me..
Clinique says that it will work for people who have a dry combination to oily skin. I see myself as super oily, so that’s why it didn’t work for my skin. If you are less oily than I am, I hope that it will work out for you! I wish that I was not this oily, can you imagine how hard it is for me to have the perfect makeup routine during hot summer days. It is almost impossible to have a flawless face all day. Please don’t be afraid of my experience, it should activate you to be curious and try this foundation! I bet it will do wonders if you have something like a combination skin! What are your thoughts after reading my review? 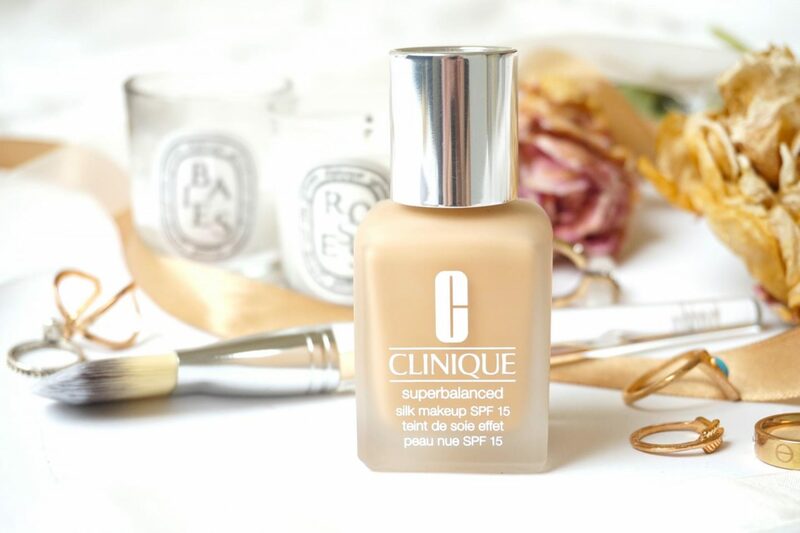 You can get your own Clinique Superbalanced Silk Makeup SPF15 for ¢30,- at the official website.